Maybe you gave SmartThings a shot, but you got yourself a Smart Bridge and now you want to give our Keen App a go? Or perhaps the other way around? With your old hub still connected, make sure your vents are online and still connected as well. Open the old hub's app and navigate to your device listing (Connected Devices in the Keen App). Manually delete one of the vents from the app. This ensures the vent knows it no longer has a home, and that it won't automatically try to find the same hub. 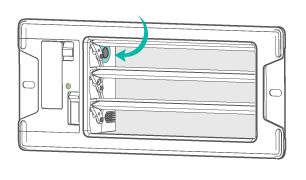 If successful, the vent should begin double-blinking green, meaning it's in join-mode. Now it's ready to connect to your new hub. With your new hub connected, open its corresponding app and navigate to the add devices screen. In the Keen App, you'll want to tap into your room of choice. Ensure the vent is in join-mode where it's double-blinking green. If it's not/if it stopped, pop out the battery cartridge and reinsert it to bring the vent online. Then press the black button (pictured below) five times quickly. This should force the vent into join-mode once again. Tap Add Smart Devices > Find Keen Home Devices (or the equivalent action in the new hub's app) and wait for the bridge to find your device. Once it pops up, check the box/press the button and you're all set! If you run into any trouble with this process, please reach out to our support team and we'll be happy to help out.